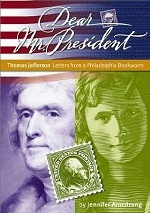 This object-based learning activity revolves around the desk on which Thomas Jefferson drafted the Declaration of Independence. 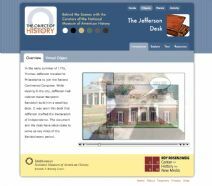 Students will learn how the Jefferson desk can help them understand the meaning of the Declaration, both at the time that it was written as well as to future generations. After exploring the desk and its importance as a source of historical information, students will visit the forum section of the site to hear NMAH curators and historians discuss the object and then use what they have learned to complete the Virtual Exhibit Activity. This activity is included in The Object of History, a cooperative project between the Smithsonian's National Museum of American History and George Mason University's Center for History and New Media.